Why book Silverstone F1 hospitality tickets with us? 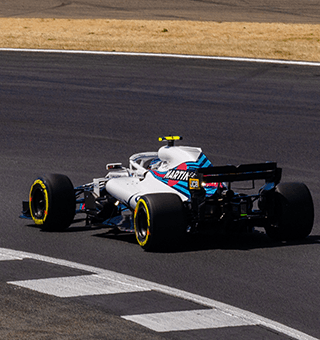 For more than 10 years, we have offered a range of VIP hospitality experiences within the ticket-line at Silverstone for the F1 British Grand Prix. 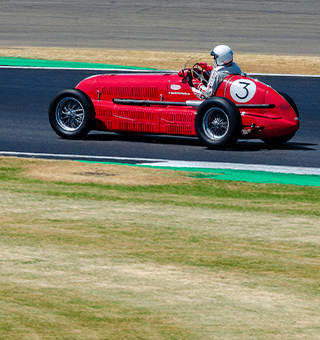 Along with events such as the F1 Monaco Grand Prix, Monaco Historic Grand Prix and BTCC around the UK the British Grand Prix has always featured in our calendar as one of our most popular events. Almost all of the images featured on our website have been shot in the past couple of years from our range of hospitality locations - mostly by our boss, who is on site over the weekend to ensure that the hospitality we offer for the F1 Silverstone experience is always top notch! Scroll down and click the links to find out more about the locations we are delighted to offer at the 2019 F1 Rolex British Grand Prix, Silverstone. Don't see what you're looking for, or have a questions about any of our Formula 1 hospitality options? Just get in touch with us - our contact details are at the bottom of every page. Why watch Formula One at Silverstone? For many of the race teams, the Silverstone Grand Prix weekend is their 'home race'. Mercedes-AMG is based at Brackley, Red Bull is at Milton Keynes, whilst Williams is in Oxfordshire - at Grove. Of course, Force India is based opposite the circuit entrance, so it's just a short walk for team personnel to attend the race! Renault are another in Oxfordshire, with McLaren located just outside of Woking - little more than an hour away. Even the American team Haas has a European base around 30 minutes from the circuit. All of these 'home' teams means a lot of home support, and the British Grand Prix is one of the best attended around the world with all 3 days normally sold out. 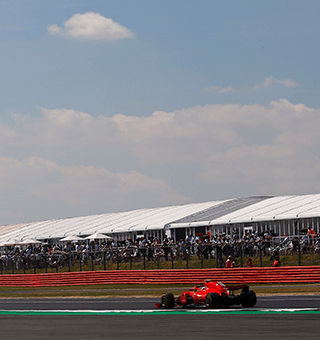 Silverstone has also been on the calendar longer than any other race in Formula One history, having recently celebrated the 70th anniversary of the British Grand Prix. The maiden F1 World Championship race was held in 1950. Whilst the circuit doesn't hold the record for the most number of races (that's Monza, followed by Monaco - due to race being shared initially with Aintree and then Brands Hatch until the 1980s) it sits in 3rd for the overall number of F1 races held. The former airfield circuit is also very popular with the drivers, its fast sweeping bends providing a challenge of both man and machine. Whilst sections of track have changed over the years, the feeling of an old-fashioned perimeter road remains. Many corner names hark back to the circuit's former use (Wellington & Hanger straights) and local landmarks such as Stowe, Luffield, Abbey (actually Luffield Abbey - the remnants of which were found on the circuits' land) and Chapel, together with references to other UK circuits such as Aintree and Brooklands. 2019 may also be the final F1 British Grand Prix, unless a new deal is struck between the circuit's owners - the British Race Drivers Club - and Formula One's management. 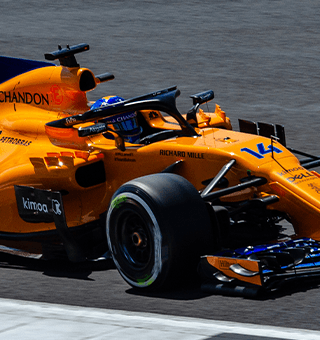 What will be racing at the 2019 F1 Rolex British GP? In 2018, Silverstone also added both an historic race car parade and also a round of the FIA Historic F1 championship. The latter looks to be returning in 2019 as part of the FIA Matsers Historic Formula One Championship. 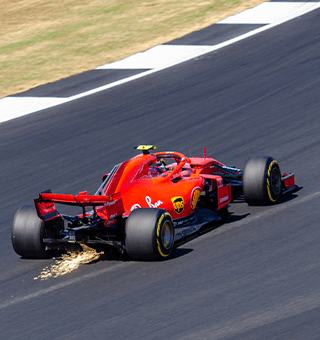 Track action, both race and other elements such as the drivers' parade, air displays and more, are all visible from hospitality at Silverstone, so there's no reason not to book a VIP experience for the F1 British Grand Prix. Sunday: Support races + Formula One Rolex British Grand Prix. Race start 2.10pm. With the later start time you will have plenty of opportunity to enjoy any of our British Grand Prix VIP Packages! We are delighted to offer VIP hospitality in high-floor suites within the Brooklands Building. In our view possibly the best views at Silverstone! You'll experience excellent catering and drinks package during your day. Viewing is from the attached terraced balconies with views over the Wellington Straight DRS Zone, Brooklands Corner and the double-right-hander Luffield. In our opinion, Brooklands offers the best British F1 hospitality packages at a great price. It's fair to say that the Brooklands Suites at Silverstone are our favourite spot for watching the British Grand Prix and are perfect for experiencing the best Silverstone F1 hospitality! 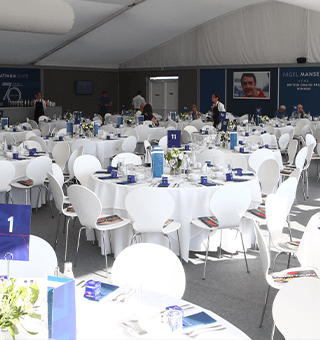 The Formula One Paddock Club™ is the most prestigious hospitality package that Silverstone has to offer and is the only package at the 2019 FORMULA 1 BRITISH GRAND PRIX that includes prime viewing overlooking the main start/finish straight, five star dining and a pit lane walk at specially allotted times. The Formula One Paddock Club™ travels to every Formula One™ Grand Prix on the calendar and uses the demanding standards of F1™ teams and sponsors as its benchmark – which is why it is always their first choice for entertaining clients. If you're looking for the ultimate F1 hospitality experience, then Paddock Club is probably it! Note that Paddock Club is available for 2-day, 3-day or Friday only packages. It is not possible to buy a 'Sunday only' hospitality ticket. The Silverstone Club Six restaurant facilities are located in a marquee 'village' between Maggotts and the Wellington Straight. The facilities here get their name from the 6 corners visible from the grandstand including Maggotts, Beckets, Farm Curve, Village, The Loop and Aintree. A good compromise package with excellent race viewing options, combined with Silverstone F1 Grand Prix hospitality but in a large restaurant-style marquee facility. Viewing is from either the trackside terrace or an adjacent grandstand which trades better views for the inconvenience of not being next to the bar! Silverstone F1 hospitality options are spread across the site in a mix of permanent structures and marquees. Viewing will vary according to location, with both Paddock Club and Brooklands offering balcony viewing. 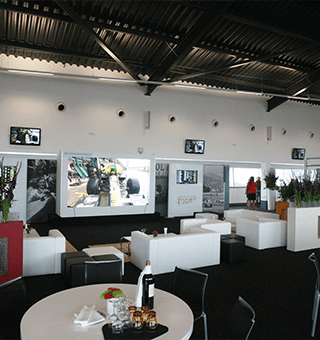 Silverstone Six offers a ground level terrace and also access to an exclusive grandstand. Paddock Club too offers a grandstand as the view from the balcony is limited. Meanwhile, at Brooklands guests just need to move a few feet from table to terraced balcony for superb views over the Brooklands/Luffield complex of corners. Don't forget, these packages are great for corporate hospitality and also for individuals! Guests are generally allocated to tables of 10 people - smaller numbers will share tables whilst exclusive tables are available for bookings of 10, 11 or (at a squeeze) 12 people.